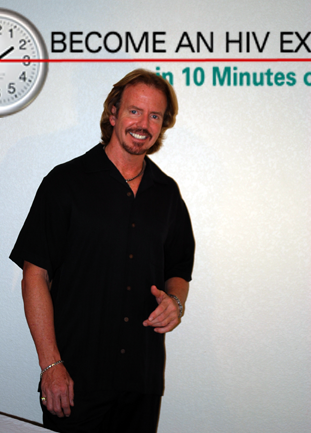 If you’ve got 10 minutes a day, you can transform your life with HIV into one of health, happiness and abundance at HIV Positive Living University. This unique program designed by me (Kelly Markell, the father of an HIV positive son) and my team at MyHIVAIDSAwareness.com goes to the heart of the challenges of living with HIV. I want my son and others with HIV to live their lives without limitations. These limitations come about not only from the HIV, but from lack of knowledge and empowerment, experiences of fear and stigma, and the sense that you no longer control anything about life. HIV Positive Living University addresses both the practical matters of managing a lifetime chronic disease and the emotional issues that often accompany HIV/AIDS. It is not enough to share knowledge, we create a path to use that knowledge to make your life better and take back control of your destiny. 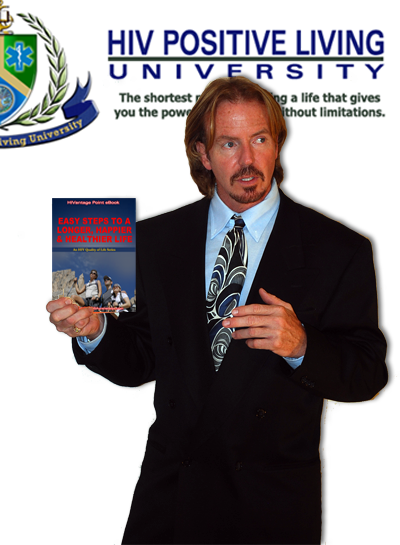 HIV Positive Living University Monthly Life-Building Reports from Kelly Markell. You get Kelly’s latest and most up-to-date HIV/AIDS news and quality of life breakthroughs sent confidentially to your email via these comprehensive life-building reports. Now, you’ll stay in control of your life and your HIV strategy. HIV Positive Living University Interactive Learning Experiences. Each month you get 2 Become An HIV Expert in 10 Minutes or Less courses that walk you thru the essential details of what to do (and how and when to do it) to conquer one key aspect of living with HIV. With these 2 expert courses you will take consistent leaps in knowledge and power in only 10 minutes per day for 10 days! 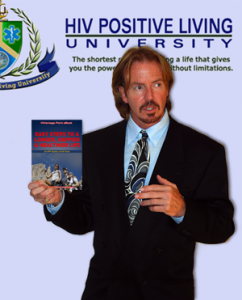 HIV Positive Living University eBooks. Each month you get 2 eBooks from the HIVantage Point series that share with you best practices and “what’s working right now” for some of the critical quality of life issues you face with HIV. As you read expert secrets and what others are doing to improve their lives it will shortcut your path to a life without limitations. Access to the private HIV Positive Living University Campus. Every month you get access to the campus and the most recent 2 expert courses, eBooks and reports so you can go thru their content at any pace and when it’s convenient for you. You will be able to confidentially interact and share experiences with others on campus. Plus, within your campus you’ll be given some other cool goodies such as the expert library featuring in-depth information from some of the leading HIV/AIDS organizations. 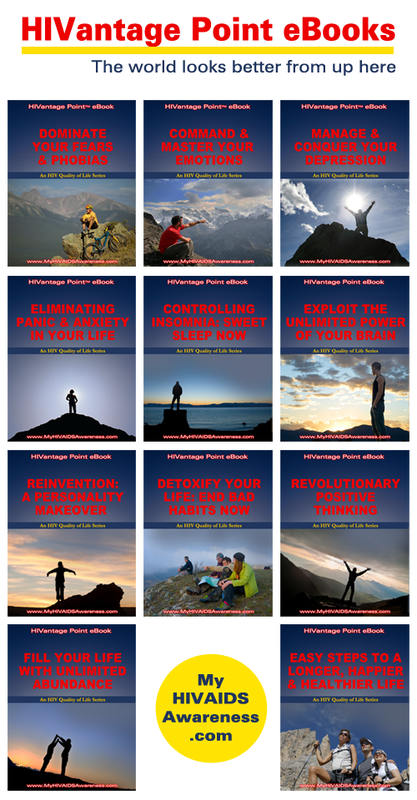 HIVantage Point eBooks are a one-of-a-kind series designed to take you to new heights! Each of our eBooks focuses on a quality of life issue in living with HIV. We share with you best practices and “what’s working right now” for these critical issues that affect your health and happiness. In the privacy of your home, you can make the decision to tackle some of these issues that are making your life not all it could be. Being diagnosed as HIV positive is a life changing moment. In the course of living with HIV, you will face moments of fear and uncertainty as events seem to move out of your control. I know that I have when faced with my son’s diagnosis and treatment. Are you getting in the way of your living the best life possible with HIV? This is a serious question you MUST ask yourself. Then sit back and really think about the answer. You could very well be fighting an uncontrolled fire in your life with a tiny bucket. Imagine how you could put out the fires in your life with HIV if you used a fire hose instead, pouring out gallons of water instead of a few drops. The fires in your life would be no match for the resources you would bring. HIVantage Point is your resource. Look for your membership invitation coming soon! Please make sure we have your email address by sharing in the boxes at the top right of this page.